The Reserve Bank of India (RBI) on Wednesday the policy repo rate under the liquidity adjustment facility (LAF) unchanged at 6.0 per cent. RBI’s fifth Bi-monthly Monetary Policy Statement, 2017-18 said that the reverse repo rate under the LAF remains at 5.75 percent, and the marginal standing facility (MSF) rate and the Bank Rate at 6.25 percent. The decision of the MPC is consistent with a neutral stance of monetary policy in consonance with the objective of achieving the medium-term target for consumer price index (CPI) inflation of 4 per cent within a band of +/- 2 per cent, while supporting growth, it said. Since the last meeting of the MPC in October 2017, global economic activity has been gaining momentum through the final quarter of the year, driven mainly by advanced economies (AEs). US growth remained largely resilient to hurricanes and grew at the highest pace in the past three years in Q3 of 2017, with positive contributions from private consumption, investment activity and net exports. The unemployment rate fell to 4.1 per cent in October, the lowest in the last 17 years. In the Euro area, economic activity expanded, underpinned by accommodative monetary policy and strong job gains. The Japanese economy also continued to grow in Q3, largely supported by external demand, which helped compensate for the slowing of domestic consumption. On the domestic front, the growth of real gross value added (GVA) accelerated sequentially in Q2 of 2017-18, after five consecutive quarters of deceleration. It was powered by a sharp acceleration in industrial activity. GVA growth in the manufacturing sector – the key component of industry – accelerated sharply on improved demand and re-stocking post goods and services tax (GST) implementation. The mining sector expanded in Q2 due to higher coal and natural gas production. GVA growth in the electricity, gas, water supply and other utility services sector also strengthened on higher demand. In contrast, growth in agriculture and allied activities slackened, reflecting the lower than expected kharif harvest. Activity in the services sector decelerated, mainly on account of slowdown in financial, insurance, real estate and professional services, and in public administration, defence and other services (PADO) following the large front-loading of government expenditure in Q1, said the monetary policy statement. Looking beyond Q2, rabi sowing in Q3 has so far been marginally lagging behind the acreage sown during the comparable period of the previous year. Precipitation since October has remained at around 13 percent below the long period average (LPA). Major reservoirs, the main source of irrigation during the rabi season, were at 64 per cent of the full reservoir level vis-a-vis 67 percent in the previous year. On the positive side, pulses sowing increased significantly as compared with a year ago, partly reflecting the impact of lifting of the export ban for all varieties of pulses. The statement went on to say that the available high-frequency indicators suggest a mixed picture of industrial activity for Q3. Core industries’ growth was flat in October as all constituents barring steel and fertilisers slowed down sequentially. Coal mining, which revived strongly in Q2, slowed down too, while cement production contracted. In contrast, the Purchasing Managers’ Index (PMI) for manufacturing, which fell in October, rebounded in November, driven by output and new orders. Also, according to the Reserve Bank’s Industrial Outlook Survey (IOS), production is expected to pick up in Q3 as order books are rising. Retail inflation measured by year-on-year change in the consumer price index (CPI) recorded a seven-month high in October, driven by a sharp uptick in momentum, tempered partly by some favourable base effects. Food inflation was volatile in the last two months – declining sharply in September and bouncing back in October – due mainly to vegetables and fruits. Milk and eggs inflation has shown an uptick, while pulses inflation remained negative for the eleventh successive month in October. Cereal inflation remained stable. Fuel group inflation, which has been on an upward trajectory since July, accelerated further due to a sharp pick-up in inflation in liquefied petroleum gas (LPG), kerosene, coke and electricity. CPI inflation excluding food and fuel, which increased from July to September, remained steady in October. This reflected the softening of petroleum product prices on account of the reversal of taxes on petroleum products by the central and state governments. However, there was a hardening of housing inflation following the implementation of higher house rent allowances for central government employees under the 7th central pay commission award, it said. Surplus liquidity in the system has continued to decline during October and November. Currency in circulation increased by Rs 736 billion in Q3 (up to December 1, 2017) over end-September on festival demand. 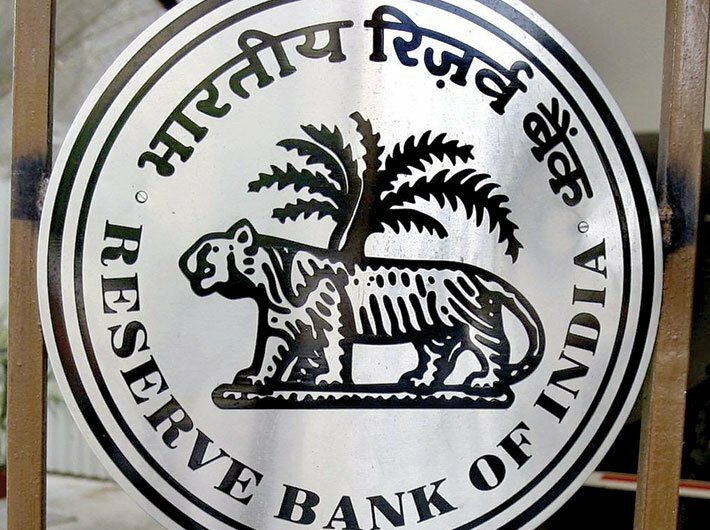 The Reserve Bank managed surplus liquidity through the conduct of regular variable rate reverse repo auctions of various tenors, ranging from overnight to 28 days, RBI added.